The Napthine government is “missing in action” as the Victorian Labor opposition identifies renewable energy as a key growth sector for the state. Labor’s Back to Work policy released today commits the party to “Establish a $200 million Future Industries Fund to drive the six high-growth sectors.” This fund will support the development of “new energy technologies” (Note: Credible policy will exclude fossil fuels. We’re keeping a watchful our eye on the details). Friends of the Earth welcome the focus on renewable energy in the lead up to the November 29 state election. Renewable energy is a high-growth, job-creating sector globally. Victoria’s economy can benefit from the shift to renewables, but only with political leadership. Victorians see renewable energy as a huge economic opportunity for our state, yet the Napthine government is missing in action when it comes to encouraging the sector and creating jobs. 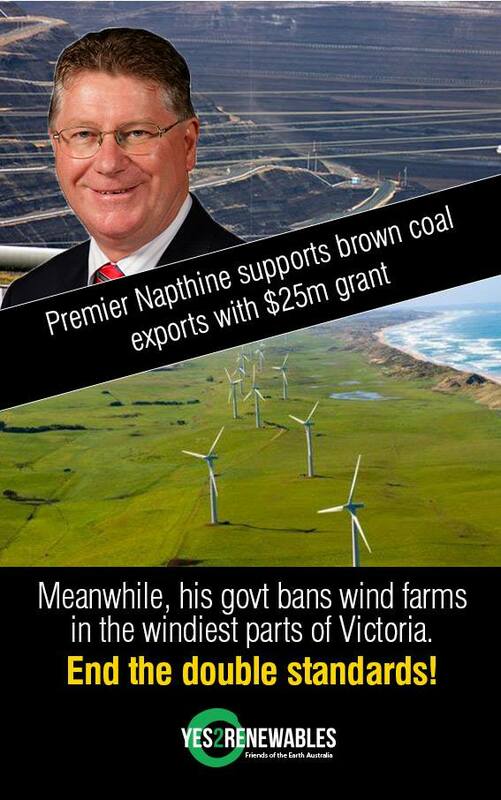 Indeed, only a few months ago Premier Napthine threw good money on bad coal with a $25 million grant to facilitate brown coal export. Credible energy policy must include a state target for renewable energy. Yes 2 Renewables and our supporters have called on Premier Napthine and opposition leader Daniel Andrews to make a Victorian Renewable Energy Target a central plank of state energy policy. 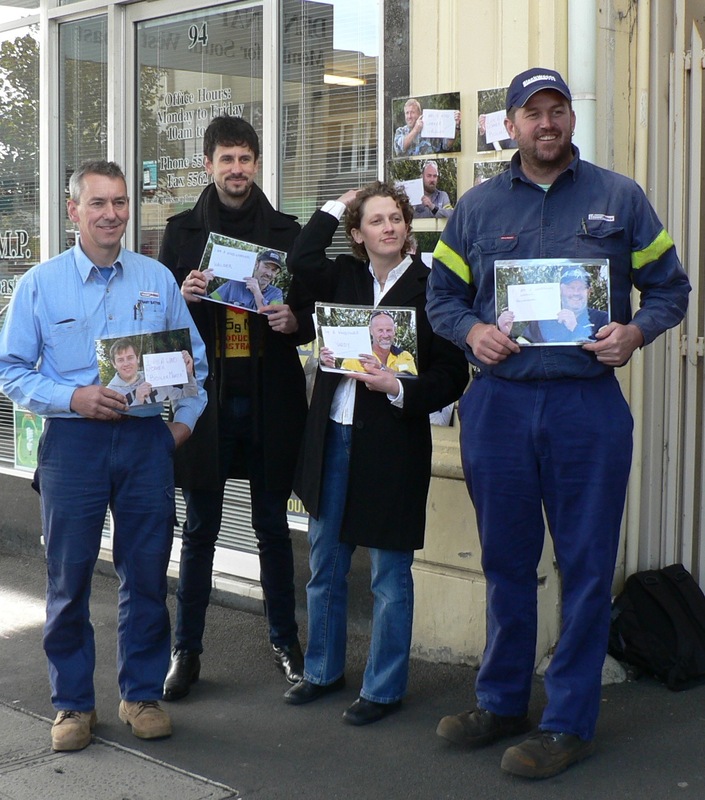 The Victorian Greens have already endorsed our call for a VRET. 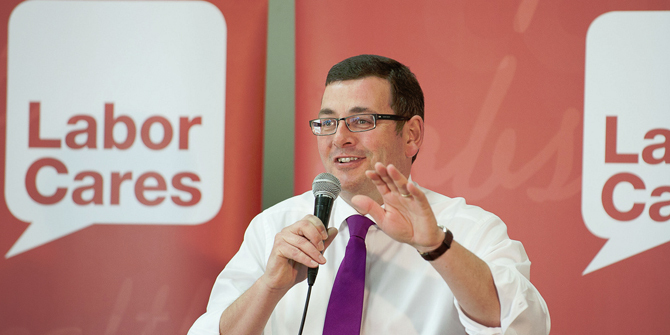 Victoria’s renewable energy sector is languishing due to the Abbott government’s attacks. It will take state government leadership to restore certainty. A Victorian Renewable Energy Target will create jobs and unleash investment in Victoria – which is something all political parties can support. A growing renewable energy sector can reinvigorate manufacturing in places such as Geelong and lock in existing wind energy jobs in Portland. Yes 2 Renewables and Australian Wind Alliance stand with Portland wind workers.